We offer GAP Advantage Insurance on all auto loans at a rate that is almost always significantly lower than dealerships. In the event of a total loss, your insurance will only pay the market value of your vehicle. This amount, in many cases, is not enough to payoff your auto loan and will leave you responsible for the remaining balance. Gap Advantage is a valuable asset that covers what the insurance won't in the event of a total loss. Make sure you're covered and have peace of mind. Car repairs can be expensive and inconvenient! You may think it’s too late to get an extended warranty for your vehicle, but the good news is that LZECU offers comprehensive, extended mechanical coverage on most new and used vehicles. You may even add the cost of the warranty to your LZECU auto loan. You trust your credit union to offer products and services to help you do more with what you have. That's why we've joined with a dedicated team of insurance professionals to bring you the TruStage® Auto Insurance Program. Working with carefully selected auto insurance partners, the TruStage® Auto Insurance Program can provide discounted rates for credit union members, online services, and 24/7 claims service. Get your free quote today or call 1-855-318-3028. With optional Credit Life and Credit Disability Insurance, your loan may be paid off or your monthly notes paid if you die or become disabled due to a covered illness. The cost of coverage is conveniently included in your monthly payments, and benefits are paid even when other insurance is in force – helping to reduce financial risk for you and your family. Designed for credit union members like you, the TruStage Home Insurance Program provides top quality protection for your home that is designed to be affordable. Another Credit Union Membership Perk: $2000 of TruStage® Accidental Death and Dismemberment Insurance Coverage at No Cost. 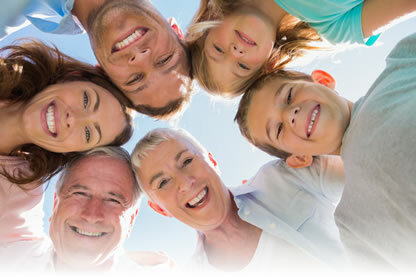 One of the nice benefits of your credit union membership is a no-cost TruStage Accidental Death and Dismemberment (AD&D) insurance policy from CMFG Life Insurance Company. AD&D coverage pays you or your loved ones a cash benefit after an accident results in a covered injury or loss of life due to an accident. To receive $2000 of AD&D coverage at no cost or obligation, all you need to do is claim it. In addition to your no-cost coverage, you may want to consider strengthening your protection with higher levels of AD&D insurance. Why? Because $100,000 in coverage can cost about $10 a month**—which can be an affordable way to help protect your family from the lasting impact of an accidental death or serious, permanent injury. And, acceptance is guaranteed. There are no medical questions or health exam.